The UN's international day observances are an important means of raising social consciousness. No-one questions the need to give over one day each year to commemorating health or the struggles to end poverty, hunger, sickness, and violence. Who among us does not identify with, or at least feel some solidarity towards, these causes? Today, 26 April, is World Intellectual Property Day. The date marks the entry into force of the Convention establishing the World Intellectual Property Organization (WIPO Convention) 45 years ago. A substantial segment of the population may, it is true, feel estranged from this cause, to them the words "intellectual property" are synonymous with sanctions, licenses, censorship, and other obstacles to the so-called free culture of the digital age. Even when viewed not so critically, "intellectual property" is still likely to bring to mind notions that stand outside most people's everyday lives, like the law, regulations, the courts, or packs of lawyers in suits and ties all on the side of "big business". 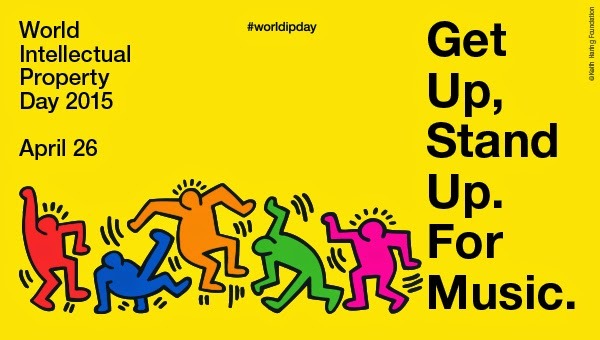 Perhaps world creativity day, world innovation day, or world culture day would be a more fitting name. At least, it would "pack more punch". Because, simply put, with no beating about the bush, intellectual property is creativity, is innovation, is culture. It's in the alarm clock that wakes us up to go to the office, in the music we listen to on the way to work, in the video clip we watch on the screen on the platform, in the play advertised at the bus stop, in all the programs, utilities, and applications that help us in our daily work, in the coffee machine that rouses us from our mid-morning daze, in the television show or the book we turn to before going to sleep …. And behind it all are musicians, artists, programmers, engineers, actors, writers, producers, and, yes, probably too droves of judges, lawmakers, and lawyers in suits and tie doing their best to salvage what is left of intellectual property, this at times unfairly criticized redoubt.